In most cities, the post office is a drab reminder of government inefficiency and bloated bureaucracy. In Singapore, it operates like a tech startup. Alexandra Stevenson reports for the New York Times that the tiny city-state is “redefining the role of the letter carrier” with one-stop shopping for e-commerce. Singapore Post, or SingPost, has expanded well beyond routine mail delivery. Modeling itself after Amazon.com, it has 24 warehouses in a dozen countries to store goods for retail customers, the article says. With those tentacles, it helps market Levi’s jeans to South Koreans and Adidas sneakers to Malaysians. The strategy allows SingPost to capitalize on the e-commerce boom as snail mail declines. 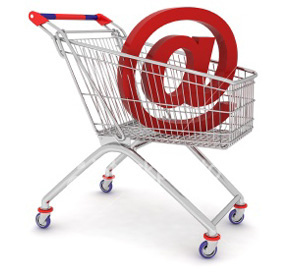 SingPost’s suite of services includes website development, online marketing and customer service. Former Silicon Valley executives were hired to run the e-commerce business. The island nation is well-situated to reach burgeoning consumer markets in Asia. “Over 600 million consumers live in the region around Singapore, and 2.2 billion people are within a five-hour flight,” Stevenson writes. Watch out, Startup Arena is back at Startup Asia Singapore 2014! Facebook's user numbers still growing, but how high can it go? The New Windows 8 First Touch: This Is Windows? Everyone with Facebook’s new timeline profile, take one step forward. Internet Explorer 7 users: Not so fast.